2018, 2017, and 2016 Finalist! 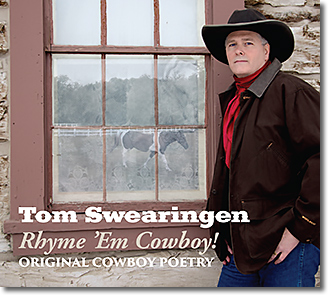 As with his debut CD Horses and Happiness, a two-time finalist for Western Music Association Poetry CD of the Year, Rhyme ´Em Cowboy! was professionally recorded during a live performance. Rhyme ´Em Cowboy! includes the title track plus Teddy Franke is One Tough Hand, One to Ride the River With, Steens Mountain Cow Camp, Spot On Perfect Balance, Mystery of Superstition Mountain, The Visit, Ten Days in December, Dogies in Our Band, For the Coffee Creek Inmate Quilters, Well Howdy Little Feller, Just a Solitary Chimney, Pendleton Round-Up Wagon Train, Scotty’s Christmas Tree, Save, Replanted Roots, and When a Horse Hoof Hits the Ground for a total of 17 original poems. 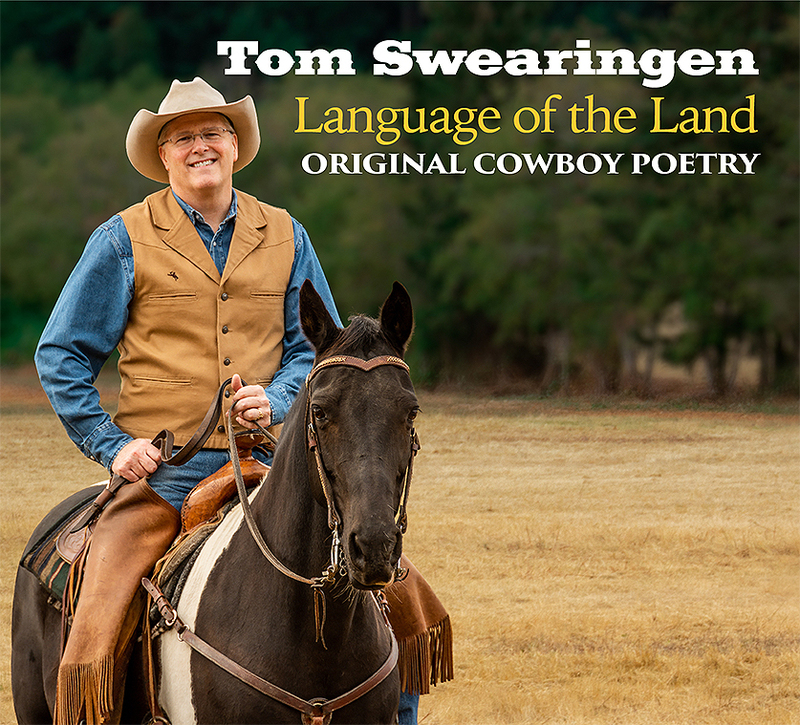 Professionally recorded during a live performance, this collection of eleven original poems plus welcome track gives evidence why Tom is a popular presenter at cowboy gatherings and western events, as well as with general audiences. 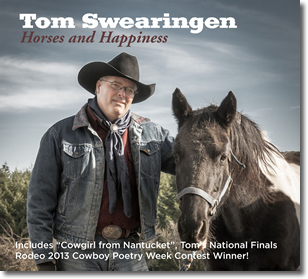 Often inspired by his own time in the saddle, Tom writes poetry ranging from the humorous to serious and reflective. Horses and Happiness covers that spectrum with I Don’t Call Myself a Cowboy, Blessed to be Western, Bombproof Pinto Mare, Cowgirl From Nantucket, Winter Pleasure Ride, Thurman the Beer Mule’s Dad Takes a Spill, Oregon’s Outlaw Henry Vaughn, When a Horse Hoof Hits the Ground, Replanted Roots, and Nightwind. Gentle Spirit, Noble Soul in addition to the title poem. Shipping costs for international orders vary. Contact tomswearingen@gmail.com for details for your location.